The dreaded “out of memory” error is caused by the fact that FCP 7 can only address 4 Gigs of ram. Those 4 Gigs are full of a lot of things other than cached files, so the actual number is even a bit smaller. The only thing that you can do to prevent the error is actually to use less memory. Thankfully, here are a bunch of tips on how to do that. 1) NEVER edit in h.264 or any other compressed format. It will add a little bit of transcoding time to the beginning, but it will prevent a lot of rendering and rerendering once in the edit. 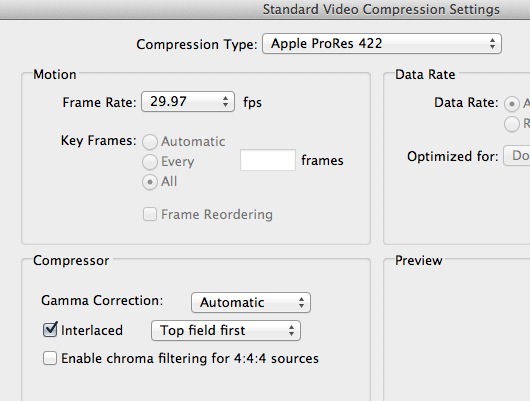 2) Make your sequence settings (ideally) prores, and make sure that all of your footage is transcoded to the same flavor of prores (LT, HQ, 4444, whatever) This applies to framerate as well! 3) Ensure that your audio is aiff (not mp3) and at the same settings as your timeline. 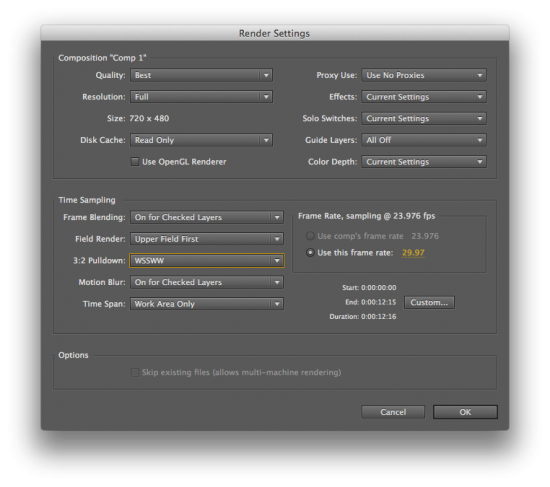 4) Resize all stills to rough video sizes. 30,000 pixel wide files will bog down fcp immediately so crop or scale it down to something closer to your timeline resolution. If photoshop does this once, then fcp doesn’t need to do it a million times. 5) Flat stills are easier than layered files. 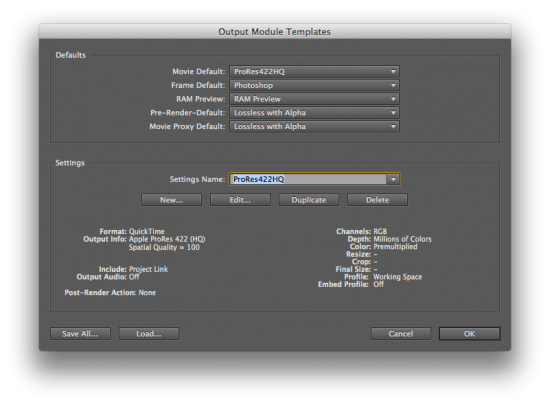 FCP doesn’t have to deal with the precomp that psds or layered tiffs come in as. 6) Close unneeded tabs in the timeline and canvas. So that’s basically it. Pre-process your footage to be 100% the same as your timeline and work with as few sequences open as possible. In my experience it seems that once things start erroring there is very little that helps outside of a restart. I picked up a canon t2i the other day to save some timelapse-related wear and tear from my 7D. Unlike the 7D, the t2i uses sd cards. I was really happy to find out that sd cards in general are far cheaper than CF cards, but I quickly realized that some cards are better than others, even when they have the same specs. I was inspired by this post over on peta pixel to run a quick test. This isn’t a very broad test, but I tested all the cards I could scrounge up. In order to do this, I just popped in an sd card and fired off 15 shots. I recorded audio of the camera firing and then compared the waveforms in final cut.. The quick cards bogged down significantly less than the slow cards. You can see the in-camera buffer get filled up after 7 shots, and then the real test begins. The gap between shots is now due to the write speed of the card. The end of the green bars represents the total amount of time that the card spent writing buffered data. Since I didn’t line them all up starting at time=zero the numbers to the right of the green bar represent the total time to shoot 15 shots. What does this mean? Well, it shows the comparative speed of different cards I have available to me. You may get drastically different numbers based on your cards and cameras, but you will probably still show the same trend. I wouldn’t even think of using the slower smaller cards for video, but this certainly puts some data behind that feeling. For stills the speed really doesnt effect me very much, but it is crucial for video. If I’m shooting hd with a high iso (lots of detail make a hard to compress image) then I absolutely need to have a fast card. Of all of the cards tested, the Sandisk extreme class 10 45mb/sec is a clear winner for dslr video. It is 166% the speed of the pny card, despite only being 120% the price. If I were a stills-only shooter, then I would consider trading volume for speed. In the future I’m interested in testing out different priced cards in the same class to see what the speed / price curve looks like. Lastly, it brings up the interesting idea that a slow enough card can almost replace an intervalometer. My super old sandisk 1Gig card took almost 3 seconds between shots! That could make for an acceptable time lapse interval in a pinch. Do you have a brand that you love or hate? post it in the comments and I’ll try to see if I can test it. Note – I know that there are much more precise ways you can actually test cards using a computer. I don’t want that. I wanted to test both my camera and sd cards simultaneously. There have been a lot of factors that have been forced me to think about and look at resumes lately. I’ve been doing a lot of intern interviews, and Siggraph had a bunch of panels about how to get a job / a better job. It’s also that time of the year that I get my reel together so that I don’t end up going 3 years without updating it. All of those things have been brewing, and I figured I’d share what I’ve learned and seen. This is more a list of more things to do than not to do, as it’s just too easy to do the opposite. •Put your name and full contact info on the first and last frame as well as on EVERY SINGLE THING you hand out. Make it easy to contact you! •Feel free to include a long form piece, but know that most people will decide based on your reel. •Pack the good stuff at the front. If we have to wade through 60 seconds of garbage to get to the good stuff we won’t end up there. •Pick content and music that is non-objectionable. No one wants to send around a reel with offensive content. That doesn’t mean water it down, but don’t put gory or explicit things in there unless you really know your audience. •Even if you are building a site to host your reel, still upload it to vimeo. Do NOT make a site with crazy menus or flash. DO make it iphone compatible. •Avoid letterboxing / litterboxing whenever possible, and make sure your reel is as technically perfect as you can get it. •Put content on your reel that applies to the specific job you are applying for. If not, then don’t bother applying. •Know what position you are applying for, and think up questions about specifics. •Learn the ins and outs of the company and think up questions that prove you did. •Get as much background as you can on the people you will be meeting. •Know when to wrap it up. If they like you, they will like you after the first 5. Don’t change that by making it 45. •Send a follow up to say thank you. Try to include something memorable that you spoke about so they have a reminder of the interview. If you actually want the job, hand write it and send it in the mail. •Have a career focus, but don’t be afraid to be flexible. Say you want to edit, but be willing to take the tape room. •Be true with yourself about what you want to do and where. This is important. They smell desperation. Find your love and follow it. •You are infinitely more likely to get a job through a person you know, even if it is a loose acquaintance. Ask your friends, ask your former bosses, and ask your enemies. •NETWORK! Join linkedin and get connected. Stay in touch with former coworkers. If you help them they’ll help you. •Go to local user group meetings. •Find out about all of the players in your area so you can “talk the talk” if given the chance. •Offer to help, however you can. Help out on a student film, help out filming a music video. Get your hands dirty and you’ll keep making contacts. •In general, try to flatter the people you meet with. Ask them about how they got where they are, ask them what they suggest you can do to get into the biz. People are self-interested, so try to align your self-interest with theirs. Now is a really tough time to be finding work, but there is always work out there. Keep your head up, keep applying and networking, and most importantly KEEP LEARNING. There is a possibility that other people are better-qualified than you. Only you can change that, and all it takes is drive. Got any other job seeking or interviewing tips? Leave them in the comments! 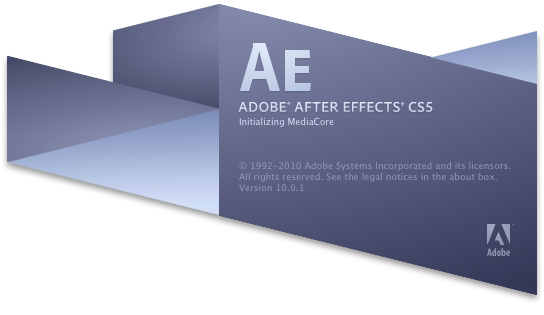 There are many reasons to use something other than After Effects for batch converting files. It simply isn’t set up for it, and many standalone compression apps simply do a better job. Occasionally it is the right tool for the job, so I am going to show you how to batch convert files in After Effects. 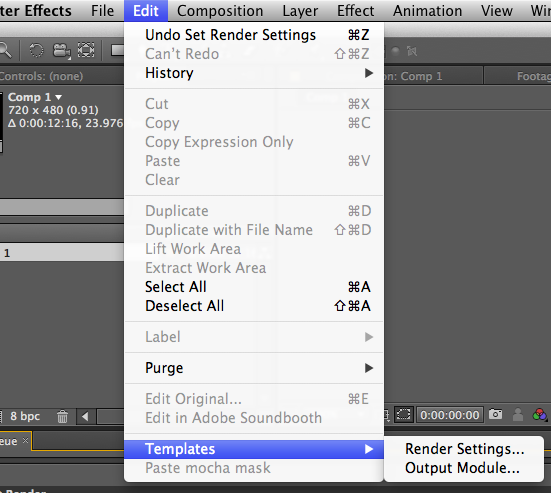 1) we are going to create presets for our render settings, output module, and destination. 2) Then we are going to set those as our defaults for new renders. 3) Finally we are going to use a neat trick to convert video files to comps and add them to the render queue all in one fell swoop. For this example I will be showing how to add interlacing to files with AE, but feel free to substitute your settings for mine if you are doing a different task. Go to Edit > Templates > Render settings. 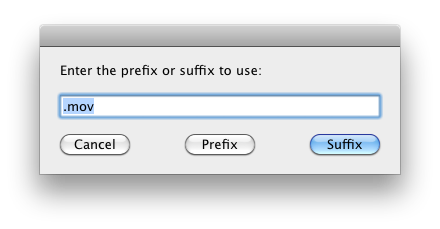 Type a name into the box, Hit the “Edit…” button and put in your settings. This menu is largely for frame and field work so if you don’t need to change anything from the defaults, you can skip this step. Now select your new preset as the default movie preset from the top drop down menu. Now go to Edit > Templates > Output module. 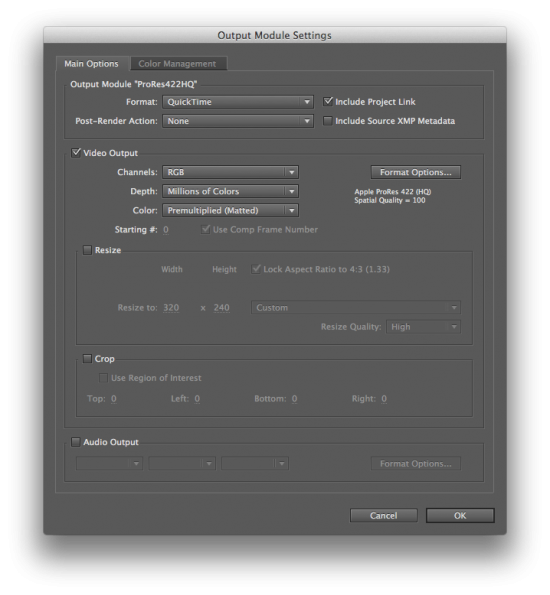 Create a new output setting and make it the default, just like before. 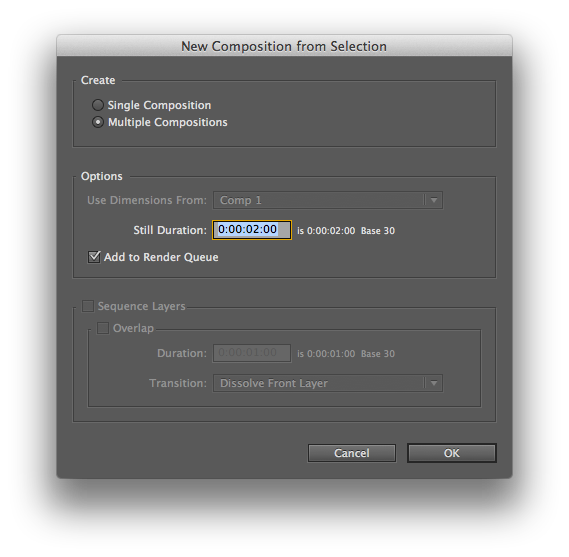 Lastly, create a blank comp, add it to the render queue, and set the “Output To” field to your intended destination. Then delete that render task and comp. Now we are ready for the last step. Drag all of your input files into the project window. Select them all in that window and drag them down onto the “Create A New Composition” button. It is the filmstrip icon to the right of the Folder icon at the bottom of the Project window. You will get this dialog box. Click on the “Add to Render Queue” Option and hit OK.
Now everything is all ready to go. Double check that your render settings, output module, and output directory have been applied to all of the render tasks. Save the AE project, and hit Render! It has taken me a long time to wrap my head around this concept and figure out how to display it properly. Final Cut Pro 7 cannot properly export 1080i. Try it. 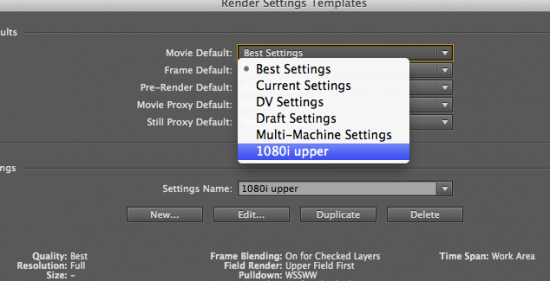 Drag a 1080p 24 clip into a 1080i sequence. Export it. You will end up with a frame-doubled (2:2:2:4) 1080p sequence. FCP did take 24fps and turn it into 30fps, but it completely ignored the interlacing step. Compressor can add pulldown to a clip properly, however it doesn’t give you very many options. You can select upper field first or lower field first, nothing else. 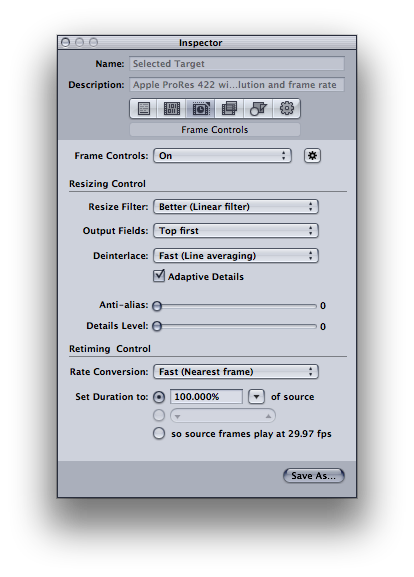 In many other apps you can pick the order of full frames and interpolated frames (3:2). Finally, After effects is able to add pulldown AND set the 3:2 cadence BUT it seems like AE disregards the Field order pulldown (for hd footage) I’m not 100% sure if it is because AE is auto detecting that I have 1080 footage and then forcing upper field first, but I don’t like it either way. I have never needed lower field first hd, but that isn’t saying that I never will. 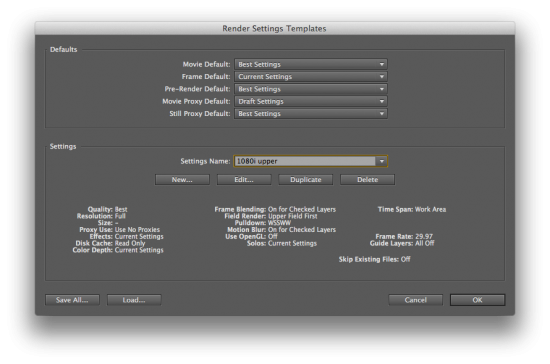 In after effects it is hard to run a bunch of files through at a time, but it isn’t impossible. I’ve got a new post coming up on how to batch process files in After Effects. It’s surprising that this isn’t more of an issue. From all of the comments online it seems as though the standard workflow is to run it through your Kona card and add the pulldown there. That doesn’t work out so well when you have a digital file delivery method. I’ve known about reference movies for a long time, but I have never had the opportunity to use one before today. I am working on a project that is roughly 2k x 1k and uses a still sequence from cinema 4d. Final cut doesn’t really play very well with image sequences, so I used quicktime 7 to import the image sequence and export a reference movie. I saved a TON of disk space, and a fair bit of image quality as well, seeing as it doesn’t have any additional compression on it. For the unaquainted: reference movies are basically a pointer that tells quicktime “hey go play from this file to this file” without actually copying the original source. If I were to share the ref movie without the source, then it would be useless. That is the reason why I have never wound a use for them before – they are easy to break, and it is usually much easier to just use the actual files. If you missed our mail last month you should check it out as it got a lot of people talking. Today we have a follow-up. Our web site has relaunched* and while the overall look of the site is similar there is a dramatic difference in how we are distributing our plug-ins. Starting today Pro Import AE, Pro Import FCP and Pro Export FCP (both versions, for FCP7 and FCPX) are available at no charge. You read this right. Free. We are unable to provide support at the same level as we have over the years, but we didn’t want these plug-ins to go away while they remain useful. So if you can make use of these plug-ins in your projects, enjoy! Thank you to all of our users, working with you for the last 10 1/2 years was a truly wonderful experience. It turns out the noise is just the default render error noise. I guess I’ve been lucky enough to not hear it before! Oh yeah, it’s also more like a sheep than a donkey. You can trigger the goat sound effect manually in AE by shift-clicking on the second line of the effects panel (the one that identifies which layer is selected, i.e., “Comp 1 • Black Solid”). Just now I found myself with an angry Nuke install that wouldn’t recognize quicktimes unless they ended with “.mov” I have a few hundred linked files at this point, and thankfully most of them weren’t in nuke yet. What did I do? 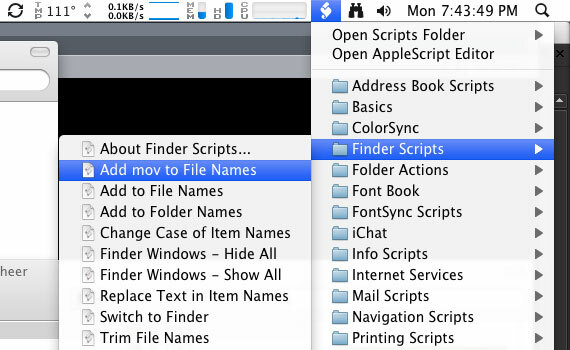 Well I mentioned finder “scripting menu additions” before, but this time I opened one up and tweaked it just a tiny bit to make it much much faster for the specific job I had to do. The one I modified was “add to file names”. 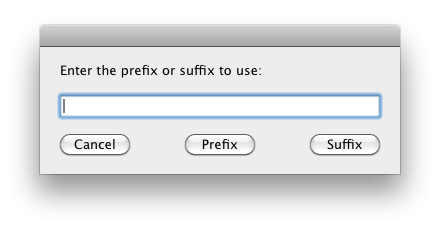 As it comes it brings up a popup box when called and asks you to type in your new text to add, and then asks you if you want prefix of suffix. That’s not really a lot of work, but it is a separate typing step and a mouse clicking step. That slows things down. I modified one line in the script so that it auto populates the text box with “.mov” and also has the default button set to suffix. That means I can call it and hit return and I’m done! The code change is stupid simple. 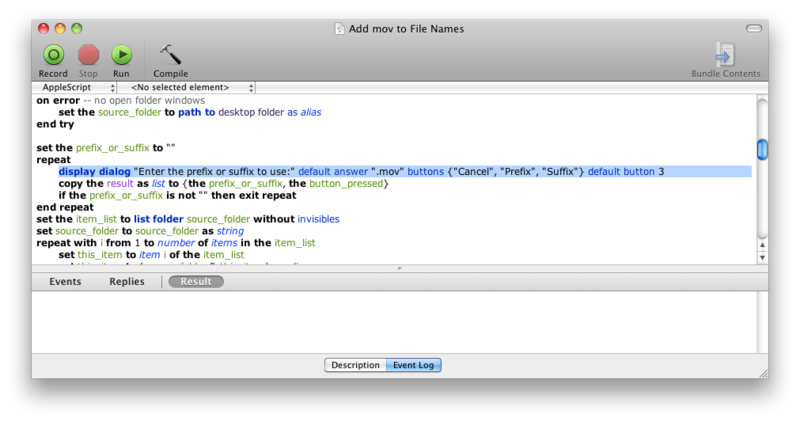 I added default answer “.mov” and default button 3 to the existing popup. Done. If I would have had more time I would have made it work recursively, so that I could do my whole directory structure in one blow, but that would have been more time coding than compositing, so I stopped there. If you want to grab a copy of “add mov to filename”, here it is. I’ve also used it a bunch since then and decided to create a “silent” version. No dialog box. The only thing it does is to add .mov as an extension. You can download “add mov to filename silent” here. If you have faith that Apple will fix things that need to be fixed and continue innovating then continue being patient and eventually you will be proven correct or incorrect. If you think FCP X signals the end of the world, then feel free to move on to one of the other editing platforms. Apple doesn’t owe you anything, and you are literally one of a million people using the product. Secondly no one is ripping FCP 7 from your computer. Just as you were able to edit a month ago, you are still able to edit with the exact same program. No training required! Otherwise start learning. I’m generally faithful and patient, however If FCP X doesn’t prove to be a workable solution in the next 6 months then I will look into transitioning to something else. Post production has always been a bleeding edge industry. We are early adopters and we are used to bugs. If you have ever shot on a RED then you know what I’m talking about. All of the fear and self-interest in this FCP X discussion needs to go away so that we can get back to the actual discussion.